The Holiday crooners have long serenaded us with the promise of a Christmas full of roaring fires, entrancing conversation and yummy adult beverages. A few of my favorites to sip on while I conspire by the fire? Of course the prevailing ingredient in all of these is none other than Grand Marnier Liqueur which is a blended medley of true cognacs and distilled essence of bitter orange. Aside from the salivating drinks above, it is a delight served neat over ice or even sipped after meals as a tummy-tamer. To summarize: it's delicious, seasonal and beneficial. But your tummy isn't the only one who Grand Marnier is out to protect. The only catch? They're relying on people like you and me, people who would like to contribute this Holiday season but don't always find the time or the money. 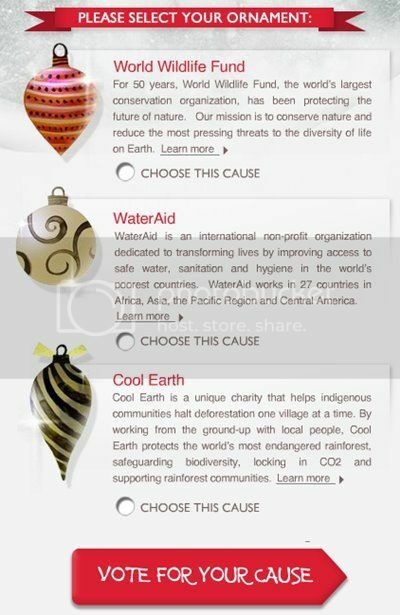 It's the eassssssiest way to spread Christmas cheer- All you have to do is go to their Facebook app and pick the ornament representing the cause you're most passionate about. 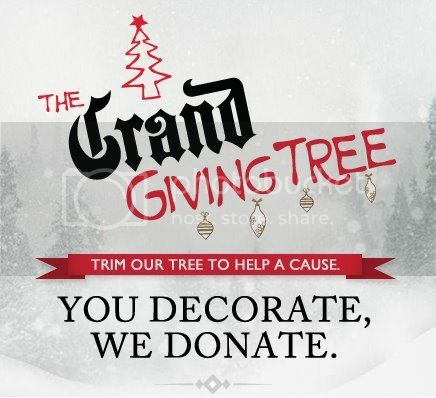 And just in case you needed another incentive: your vote automatically puts you in the running to win $1,000 and you get to put your own ornament on the beautiful Grand Giving Tree. So please all you socially-minded, kind-hearted readers who have less than a minute to spare- please go help one of the worthy charities win the money they're very deserving of! And be sure to let me know which one you picked! Thanks Kinsey, for alerting me to such an easy, yet rewarding way to contribute to a cause. can you imagine katie's done with her christmas shopping? pass the grand marnier. Hey now - done with the shopping, nothing has even SHIPPED yet. Amazon will only tell me that it should be here by Dec 24. Should. Pass the grand marnier over here, too. and that drink sounds yum! i'm going for the wateraid. ps. i'm hosting a whole month of giveaways. this week, you have the opportunity to win a beautiful tunnel ring from besobeso! i hope you'll come visit soon & join! I've never had Grand Marnier. It sounds yummy. I love grand marnier...have you ever had a grand marnier cheesecake??? yum! I like the philanthropic aspect too!